What is North America Smart Energy Week? North America Smart Energy Week, powered by industry-leading organizations the Solar Energy Industries Association (SEIA) and the Smart Electric Power Alliance (SEPA), is the largest gathering of solar, smart energy, energy storage, and hydrogen fuel cells professionals in North America looking to grow their renewable portfolio for businesses and communities. Anchored by the flagship event, Solar Power International, North America Smart Energy Week brings together an extensive alliance of renewable energy leaders for four days of networking, accredited educational events, and innovation that moves the industry forward. Registration to North America Smart Energy Week gives you access to SPI, ESI, Smart Energy Microgrid Marketplace, Hydrogen + Fuel Cells NORTH AMERICA, and the entire expo floor. What is Solar Power International? As the anchor event of North America Smart Energy Week, Solar Power International generates success for energy professionals and the global solar industry. SPI sets the standard for solar events as the fastest growing and largest energy event in North America as recognized by Trade Show Executive and Trade Show News Network. SPI has also been among the Gold 100 for eight years running and named the 2017 “Best Use of Technology” and the 2016 “Stickiest Show Floor” by Trade Show Executive for the innovative ways in which attendees stay engaged. What is Energy Storage International (ESI)? With costs continuing to decline, energy storage deployment is rapidly expanding and Energy Storage International (ESI), co-located with Solar Power International, paves the way for greater integration between the energy storage and solar markets. As the largest energy storage event in North America, ESI features 250 exhibitors and over 12,500 attendees drawn to energy storage technology and applications. Registration to North America Smart Energy Week gives you access to ESI, SPI, Smart Energy Microgrid Marketplace, Hydrogen + Fuel Cells NORTH AMERICA, and the entire expo floor. What is the Smart Energy Microgrid Marketplace? Home, building automation, and smart energy technologies are natural compliments to the solar industry, as automation technologies focus on using energy more productively. The marketplace features a fully-functioning, “live” microgrid, power conversion equipment, energy management systems, building and home smart energy products, electric vehicle charging stations, energy storage systems, and solar energy products. Registration to North America Smart Energy Week gives you access to Smart Energy Microgrid Marketplace, SPI, ESI, Hydrogen + Fuel Cells NORTH AMERICA, and the entire expo floor. 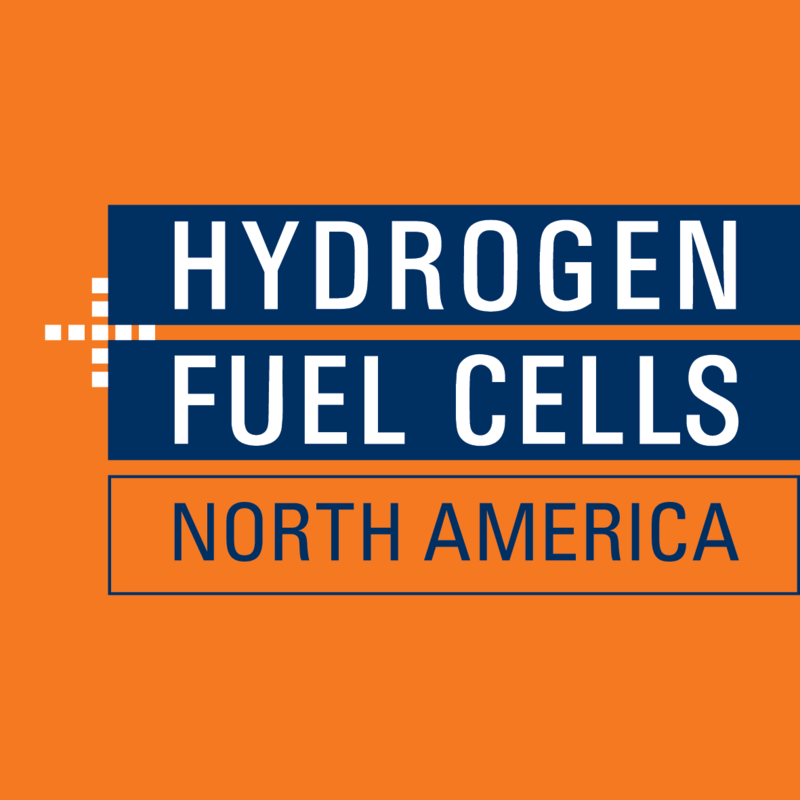 What is Hydrogen + Fuel Cells NORTH AMERICA? Co-located with SPI and ESI, Hydrogen + Fuel Cells NORTH AMERICA (H2 + FC NA ) dives into hydrogen generation, storage and transportation, fuel cell systems and applications, stationary-, automotive-, mobile fuel cells, special markets, components and supplying technology, fuel cell and battery testing. It is home to the Ride & Drive on the show floor. Registration to North America Smart Energy Week gives you access to Hydrogen + Fuel Cells NORTH AMERICA, SPI, ESI, Smart Energy Microgrid Marketplace, and the entire expo floor. What is the Code of Conduct for North America Smart Energy Week? Are children allowed to attend North America Smart Energy Week? A professional photographer will be on site to document North America Smart Energy Week and all affiliate events/activities. Photographs and video footage are the sole property of Solar Energy Trade Shows, LLC. By registering for and/or attending this event, you consent to being recorded or photographed for press or promotional purposes without limitation or compensation. All images submitted through any show management tool or device will be considered the property of Solar Energy Trade Shows, LCC upon submission and can be used for press and/or promotional purposes without limitation or compensation. All submitted pictures will be reviewed by show management for approval before use. What happens when show policies are updated? What are the terms and conditions for participating at North America Smart Energy Week? I acknowledge that I participate in SETS events and activities at my own risk, and I agree to hold harmless, release, and discharge SETS, Solar Energy Industry Association, Smart Electric Power Alliance, and any sponsors or providers to any of them, from any and all claims, actions, damages, losses, costs, expenses and liability of any kind, including but not limited to any personal injury or property damage claims, liquor or dram shop claims, intellectual property infringement claims, privacy or security claims, and/or contract claims, that may arise out of my attendance at or participation in a SETS event or activity on or offsite, and agree to pay promptly for any injuries or damages. You agree to indemnify, defend, and hold harmless SETS, our partners, employees, agents, officers, directors, affiliates, third party vendors, and independent contractors against any damages, claims, or costs, in whole or in part arising directly or indirectly from your actions. North America Smart Energy Week (NASEW) restricts exhibitors from hosting or participating in competing or conflicting events or activities that occur during official NASEW show hours. Exhibitors violating this policy will be subject to cancellation of their booth without refund and may not be invited to participate in future NASEW exhibitions. Booth Personnel are not permitted to promote the exhibiting company outside the contracted exhibit space. All marketing must remain within the contracted exhibit space. Marketing materials may not be placed on conference tables or other areas that are not within the boundaries of the booth, both inside and outside of the exhibit hall. Show management reserves the right to remove individuals or discard display materials that do not comply with these guidelines. NASEW has a zero-tolerance policy regarding suitcasing. Please note that while all meeting attendees are invited to the exhibit floor, any attendee who is observed to be soliciting business in the aisles or other public spaces, or in another company's booth, will be asked to leave immediately. What is the Suitcasing? Suitcasing is a business practice in which unethical companies will gain access to an event by obtaining some type of event credential (attendee badge, expo-only badge, etc.) and then solicit business in the aisles or other public spaces used for the conference. This practice skirts the support of the organizer and the industry. Registration costs vary. Please review the registration webpage for member/non-member costs, and what's included in each registration type. Registration for North America Smart Energy Week 2019 will open in early-March. How can I get the discounted member registration rate? To get the discounted member rate, you must be a member of SEPA and/or premium-level of national SEIA when you register. New membership takes up to 72 hours to process. You must be a member of SEIA and/or SEPA in good standing to receive the member rate for North America Smart Energy Week. Join SEIA via email: membership@seia.org or by phone: 202-682-0556. Join SEPA via the online form: Membership Form or by phone: 202-857-0898. Yes, we do offer a special student rate, but please note that we do not have any student scholarships available. To be eligible to receive the discounted rate, please submit a copy of your student ID and college advisor's contact information to customerservice@sets.solar. You will be required to present your valid student ID onsite to pick up your badge. Before an invitation letter can be provided, you must register for the conference and payment must be received via credit card, check (in U.S. funds drawn on a U.S. bank) or wire transfer. At that point, an invitation letter will be provided through the online registration system or the Registration Resource Center. Once an invitation letter has been provided, the remaining requirements of VISA application, necessary documentation, embassy or consulate interviews, etc. are the sole responsibility of the attendee. Should the VISA application be denied or not approved in time to attend the event, SETS will refund the full registration fee back to the original credit card or by check if the original payment was provided by check or wire transfer. Simply email customerservice@sets.solar should you not be able to attend the event due to VISA application-related issues. Elected Government Official at the state level or higher interested in attending Solar Power International or Energy Storage International are eligible to register at no cost. This complimentary pass includes everything that is included in a Full Conference registration. Please note that to qualify as a Government Elected Official you must be an Elected Official in government, through election. Employees working in the office of an elected official do not qualify. Please email customerservice@sets.solar in order to obtain the promotional code. North America Smart Energy Week has negotiated discounted hotel rates to help you save money while you're in Salt Lake City, UT. These are the lowest rates available near the Salt Palace Convention Center. Orchid Events is the only verified housing vendor for North America Smart Energy Week. Please refer to our housing page to see rates and secure a reservation. The mobile app will be live one week before North America Smart Energy Week. All attendees will receive an email with information about downloading the app. Can I pick up more than one badge (bulk badge pickup)? Solar Power International and Energy Storage International no longer offers bulk badge pickup, in order to pick up any badge onsite you will need to have a copy of the confirmation email for that specific registration. Please keep in mind there is a reprint fee. To reprint a lost badge onsite, the registrant will be required to pay 50% of the badge value per reprint. The registrant must also have a valid government ID that matches the information on the badge to qualify for a reprint. Networking event tickets (such as for the Block Party or Opening Reception) will not be reprinted for any reason. If you pick up a badge for another member of your company, it will be your sole responsibility to get the badge to that individual. Solar Energy Trade Shows is not liable for any badges or tickets after they have been printed. How many exhibitors are at North America Smart Energy Week? More than 700 exhibiting companies filled the exhibit floor in 2018. See who has already booked their booth for Salt Lake City. See who's exhibiting. Are there guest badges for future exhibitors? No, but you can contact Wes Sutler to schedule a visit to the show floor. What is the Exhibitor Service Kit? Show Management: The service kit includes important show management information such as the Exhibitor Rules and Regulations, Important Dates and Deadlines, and Exhibitor Liability Insurance Requirements. It also includes required show management forms such as the Booth Diagram Approval Form, Hanging Sign Approval Form, and Certificate of Insurance Form. General Service Contractor (currently GES): The service kit includes information and order forms for the services provided by the show’s general service contractor, such as shipping, material handling, labor and equipment, and booth furnishings. It also includes required general service contractor forms such as the Notice of Intent to Hire an Exhibitor Appointed Contractor (EAC) and the Freight Questionnaire. Vendors: The service kit includes the ordering forms for our vendors such as catering, floral, telecommunications, and lead retrieval. How do I find out when my target move-in and move-out times are? North America Smart Energy Week is a targeted show. For more information about what that means, please read the shipping 101 document. For our move-in date and time, please refer to the Target Move-in Map, which can be found in the service kit. How do I change my move-in date and time? All move-in change requests must be submitted to the general service contractor, GES, via the Target Variance Request form in the service kit. Submission does not guarantee a target move-in change, as there are many considerations, such as proximity to freight doors, size of booth, and location in the exhibit hall. This is an application, and it must be approved by GES. You must receive formal approval from GES via the Target Variance Request form and be able to provide a copy of your approval onsite if asked. Permission granted by a GES Customer Service representative will not be accepted, as all requests must go through the Target Variance Request form. The form must be submitted by the deadline indicated in the service kit in order to be considered. My username and password does not work for the Exhibitor Service Kit. How do I log in? If you have used GES Espresso before, even for an event that is produced by someone other than Solar Energy Trade Shows, your username and password will remain the same. If you have forgotten your password, you can click “forgot my password” in the login portal. If you have forgotten your username, you need to contact GES Customer Service. How do I change my booth contact’s information? To change your booth contact’s information, please contact show management by emailing exhibitorservices@sets.solar or by telephone: 703-738-9473 and our Exhibitor Services Associate will be able to make the requested changes. Where do I go to redeem my complimentary passes that come with my booth purchase? Log into the Exhibitor Dashboard to allocate your complimentary booth personnel passes, customer invitations, and exhibitor full conference passes and to purchase additional passes. To find out what each pass type includes, please visit our registration webpage.